The slow start to the spring weather held the blossom back this year but the mini-heatwave over the past few days has certainly got the trees up and running. 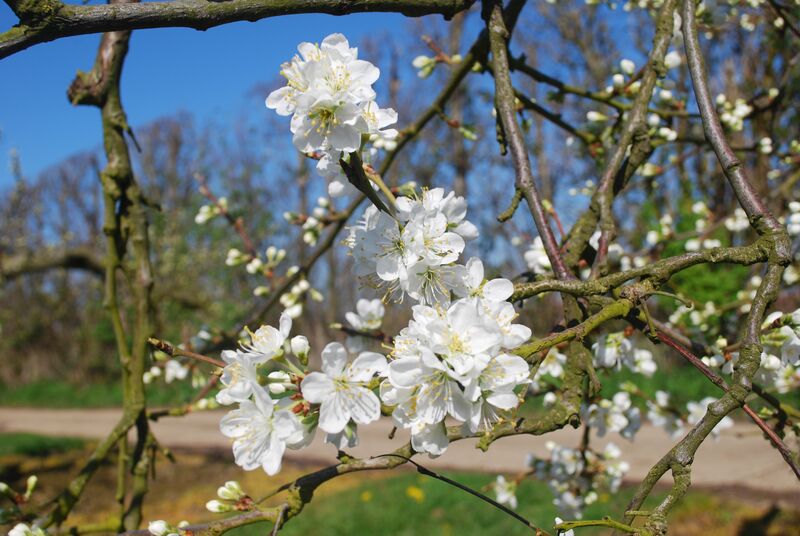 The plums are a good 3 weeks later than last year and the pears are a couple of weeks behind 2017 but open blossom can now be seen in all orchards of the Collection – even a few apples have started to open. Last year, though, was a particularly early one for the blossom and not the best year to gauge flowering times by. With the late snow and cool start to April this year, 2018 looked set to be a late one. 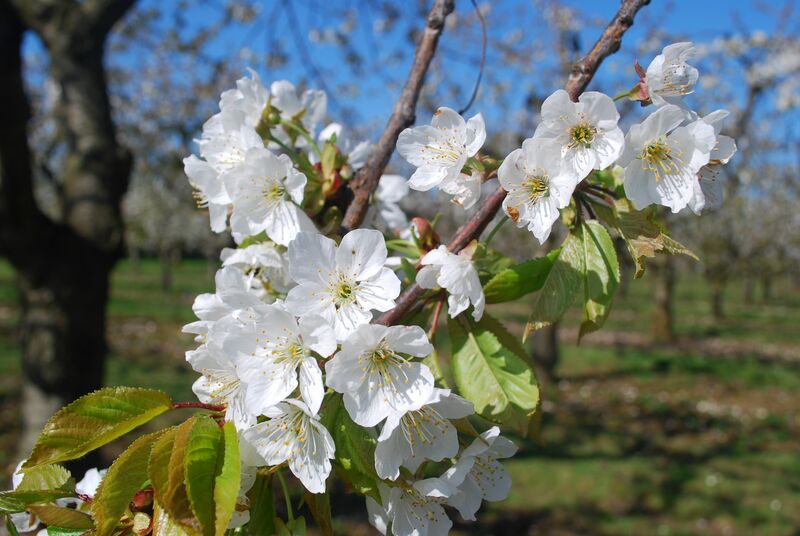 However, it reached 25.8˚C at Brogdale yesterday and the current high temperatures have brought the blossom back on track, certainly for the cherries and pears which are more or less in line with their average flowering dates. More high temperatures are forecast for the weekend before it cools down next week. I expect a few more apples will open over the weekend and Monday will be another busy day checking the blossom at Brogdale.